Farms falling within designated habitat areas where wild animals (carnivores) like the bear, wolf and lynx live can benefit from this dedicated agri-environmental scheme. The Hobič farm is located on the south edge of the “Kočevski Rog”, the largest forest in Central Europe. The farm receives support from Slovenia’s agri-environment scheme targeting the conservation of large carnivores like the brown bear, wolf and lynx. The variability of the terrain and the thin soil, which are the main characteristics of karst regions, are only suitable for livestock production based on grazing, but the presence of big predators poses a threat for ruminants, making the livestock business not always viable and putting the wild animals in danger. The main aim of this sub-measure is to provide farms with additional funding to protect livestock from predators thus ensuring added financial stability to compensate for losses from attacks of wild predators. In addition the scheme aims to limit the risk that such predators have (which are endengered species) and protect them through these conservation practices. To protect livestock from predators more than 15 km of electric fence have been put up in the last 20 years. The hard winters and damage by red and roe deer on fences are significant. So a large portion of the payments are used for repairing and restoring the fences. 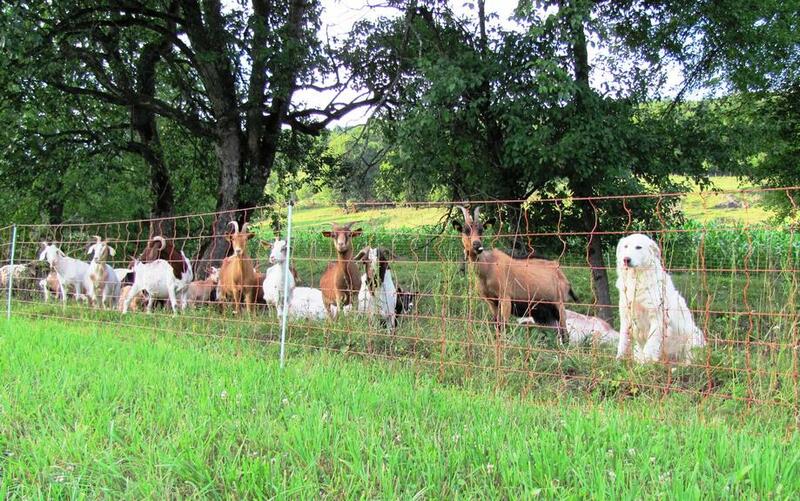 Electric fences alone cannot protect livestock from predator attacks and additional protection is provided by 6 adult shepherd dogs. The farmer also cooperates closely with state hunters. Through the project farm animals have been provided with enhanced protection from predator attacks. Attacks still occur but are fewer in number. A recent survey conducted by Department of Animal Science from Biotechnical Faculty in Ljubljana showed that even with high fences, the presence of shepherd dogs and housing animals during night could not prevent attacks from wolves. Nevertheless the payments assisted in the farmer to maintain the profitability of the farm. The support payments are welcomed by Mr Hobič, because it helps to stabilise the farm income. The only frustration is that payments can't be extended to include the area covered by another support scheme in the agri-environmental programme called “karst pastures”. Two thirds of his farm is eligible for the scheme karst pastures and this area is not eligible for payments from the Agri-Environment Scheme For Large Carnivores – even though the whole farm is in the large carnivore area.